Darcy’s Dilemma – Early Release Date! I have two very good friends (well, to be fair, I probably have several very good friends, but at this moment in time, I have two particular ones in mind – you will know who you are!) who have an aversion to reading stories that are incomplete. For one of them, it is because she does not enjoy a ‘work in progress’. If she becomes engaged in the storytelling, she wants to read through to the conclusion and she wants to do it there and then, not in dribs and drabs spread over time. For the other, it is because she prefers to check the end of the story before she begins it, so that she knows that the characters that she is emotionally invested in have a conclusion she is at peace with. You may find this a little strange, but I have to confess that I do exactly the same thing! As many of you will know, my story was originally written as one long tale, and splitting the story into three volumes because of its onerous size was a difficult decision – and I am still not sure whether it was the right one. (The friends mentioned above are clearly not the only ones who do not enjoy reading an incomplete story, judging by some of my reviews!) On the plus side, however, although split up, the story has long been written – less a ‘work in progress’, more a ‘publishing in progress’ – and any delay now is down to my incompetence with technical matters such as formatting and a lack of time to focus on it! As for the concluding part to the story, Desperate Measures, I now hope – formatting dilemma’s aside – instead of my rather vague ‘summer’ prediction for release, to make it available during the month of May, and a more specific date in that month will be announced here soon. In other news this week, I was lucky (pun unintentional – you will understand if you read on!) enough to be invited to post on Janet Taylor’s Blog, More Agreeably Engaged, this week, so if you would like to read the story behind the covers of A Fair Prospect, please vist her Blog – if you leave a comment there, you will be entered in a free giveaway for a choice of either Volumes I or II! In the meantime, I wish you all a happy Sunday! This entry was posted in Uncategorized and tagged A Fair Prospect, book cover story, Darcy, Darcy's Dilemma, Jane Austen inspired, Pride & Prejudice. Bookmark the permalink. 18 Responses to Darcy’s Dilemma – Early Release Date! Would I be dating myself too severely if I admitted to hearing a certain Carly Simon song in my head right now? An..ti..ci..pa..a…tion! You certainly brought a smile to my face with this announcement! Just downloaded (or is it uploaded?) my copy of Volume II and the only reason I’m not reading is that I don’t think my boss would approve when I’m supposed to be earning my pay! LOL I don’t want to get fired — but I am certainly fired up to see where and how far you are taking us on this journey in Volume II. Thanks for the earlier release date!!! I also read the ending after the first couple pages. I have purchased vol.1 and I’am waiting for vol.2 and 3. I did not want to put it on my kindle. I will wait for all 3 books before I start to read the series. ( When should I start looking for it?) Please keep writing, we love Elizabeth and Darcy. Thank you, ladies! Charlotte, a few technical hitches are delaying the paperback release of Vol II, but I hope to have it out there by the end of this week. My plan is get the final book out in May, but probably the middle of the month is the earliest I can manage. thanks, I’ll watch for them. OH, I hate to admit it, but I too, sometimes read the end first. I don’t do it as much as I used to (which was all the time), but still do at times. With the Austen related books, I feel more at peace that they will end well. I don’t ever want to read one that does not, that is for sure! I hope you get all your formatting issues resolved. I loved your first book and feel confident the next two will be just as good. I look forward to both! So glad to have you as my guest this week, Cassandra, at More Agreeably Engaged. You have shared a delightful story with us. Thanks and thank you for the great giveaway! Don’t know if this will show up as a link or not, but that is the address if anyone cares to take a look. Yay! Thank you , Janet, your link works beautifully! I am just like your two friends. I read both volumes of your story over this past weekend. When is the third volume to be released? At the risk of sounding impertinent as I would not want this to sound accusatory; however, I must ask, why three volumes? Indeed, why two? What is wrong with one large novel? 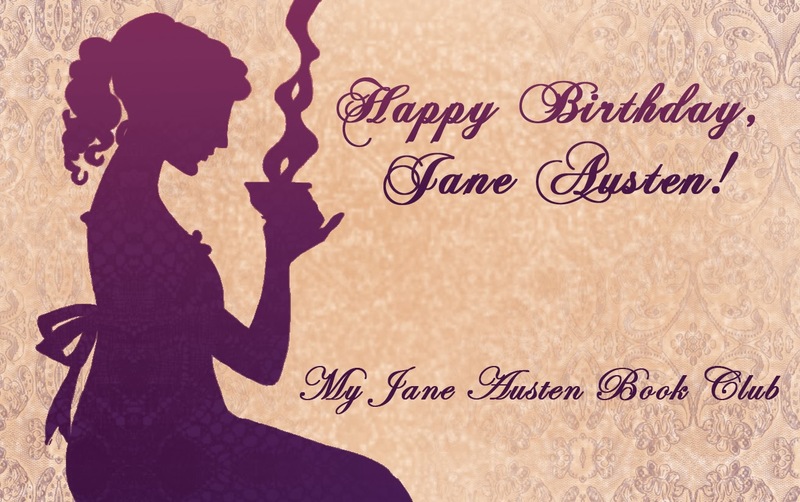 The final volume will be out during May, but in the interim I hope to be able to post some excerpts, either here or on some of the Jane Austen related online Blogs, so that you get to see where the story is going. Thank you for taking the time to comment, and I am sorry about the wait! Can I pass you some smelling salts to calm your nerves in the interim? Please, please end my sufferings and publish Volume III!!!! I read Volumes I and II in a night and cannot live left wondering what happens after Mr. Darcy leaves London for Hertfordshire in search of Wickham. Please, please, let me know as soon as you can. It will be out as soon as I can sort it. Thanks for commenting! I agree with the sentiments of Carla completely. Pure torture having to wait for the conclusion. Also difficult to hop back into the story after being away from it and reading other books in between. This does mean, however, that I have enjoying the first 2 volumes immensely and you have me very wrapped up in this tale you have created. And I thank you for that (despite the fact that it is well past my bedtime, having just finished Volume II). Rachel, I am so sorry re the fact Vol III isn’t yet out. There are so many comments on this side of things that I will do a post about it to explain. Just ordered vol.2. Thank you. One more to go. i download (ie kindle) the first two volumes and loved them so much, i also bought the books. i am so glad i found your books, cassandra, they are great.